Plants vs. Zombies on PlayStation 3 and PlayStation Vita was delisted no later than February 26th, 2015 and is one of many delisted titles from the studio formerly known as Sony Online Entertainment. 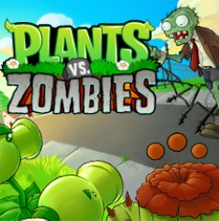 Get ready to soil your plants with multiplayer action! A mob of fun-loving zombies is about to invade your home. Defend it with an arsenal of home-guardin’ plants to mulchify zombies before they reach your front door. Get twice the zombie-zapping action with 2-player Versus and Co-op modes. We’re loaded with seven game modes, new rabble-rousing features, and unlimited replayable action… so the fun never dies!